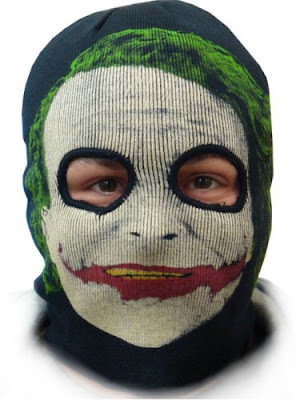 Killers in ski-masks, and as clowns, Jokers, and Bane haunt this year. Masked mass shooters in vans, theaters, malls, and schools are nothing new. Now comes a report from last week of the old classic masked uncaught potential child kidnapper (akin to the "phantom clowns"), this time from Red Hook, New York. 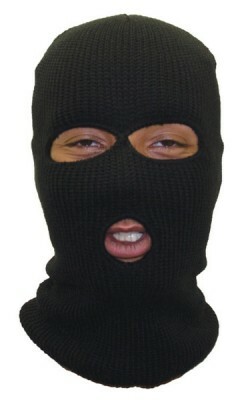 On December 19, 2012 at approximately 8:41 pm the Red Hook Police Department were dispatched to West Market Street for a report of a suspicious vehicle with the driver wearing a black ski mask. A parent and her child were traveling Westbound on West Market Street returning home from a school event when she began to notice a white full-sized van she was following was traveling at an extremely slow speed past the schools. 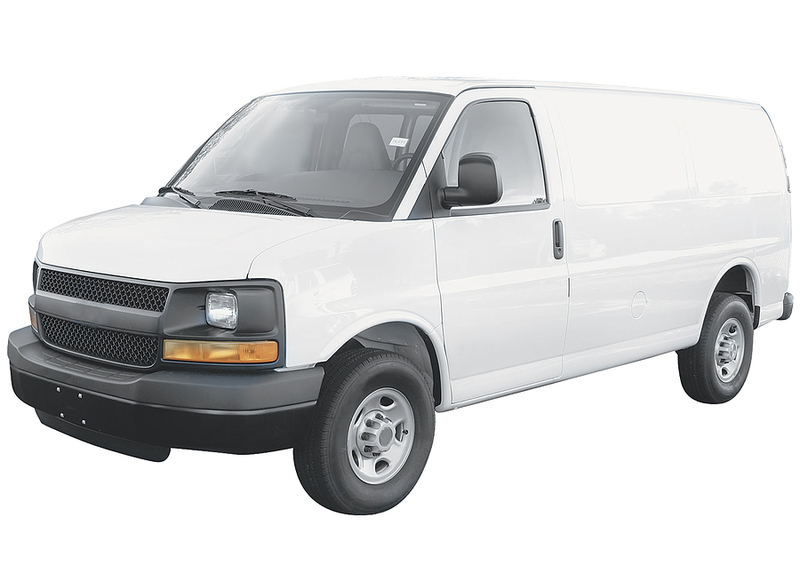 The caller stated that when she began to follow the white van he pulled over on Rt. 199 just south of the Red Hook High School. 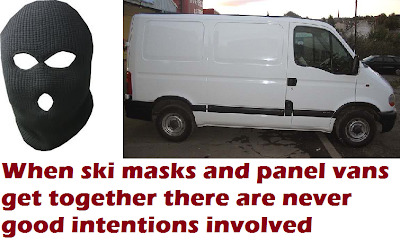 The caller stated that when she and her daughter drove past the white van they notice the driver wearing a dark jacket and wearing a black ski mask. Source. 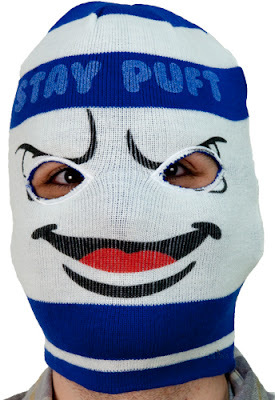 BTW, some really scary masks are being produced out there. Thanks to Anonymous for alerting me to this report. The mask report is too cool, especially after having heard of the 'crazy woman' that warned about terrorists in the Red Hook woods! Plus: The Red Hook schools have the Knight emblem. Masked 'MiB's' do - as clowns - clearly show off their 'masked intention'.Theres not only weird masks out there, theres something bigger going on. Obviously something's going on in Red Hook, NY. 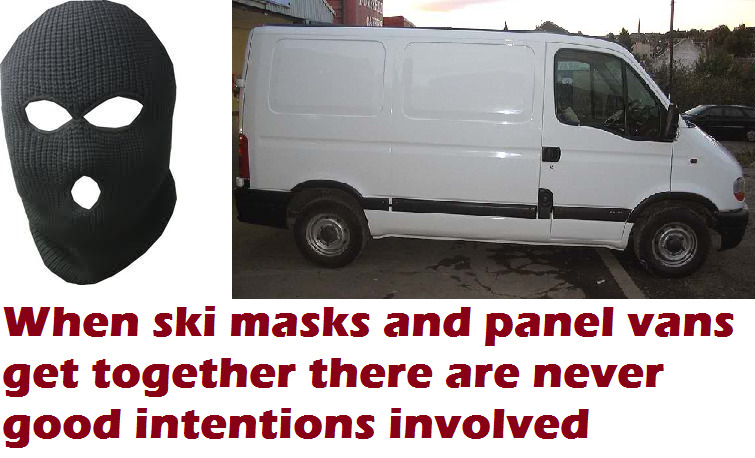 First, on 12/13, a report of a woman warning about terrorists in the woods, and now a masked man in a van trolling around a school. One has to wonder if the mother following the slow-moving white van got the license plate number. This would be the first and most obvious thing to do. Both of these Red Hook incidents might be made up for the internet to get conspiracy theories going, but if both incidents are true then Red Hook sounds like the kind of small city with a depraved, seedy underbelly, the kind that David Lynch had in mind when made the film "Blue Velvet". If Red Hook does make the news as the scene of some terrible incident, I think I'll be sick. "Purple van with 2 suspects wearing ski masks one dressed in a nun's outfit, possibly related to this incident, being sought. Last seen in Danbury. Per CSP, FBI personell on scene." Lovecraft lived at 169 Clinton Street on the edge of Red Hook. On the Dark Knight map that has been discussed a lot recently because of the appearance of Sandy Hook as Strike Zone 1, the neighborhoods Red Hook and Fort Clinton also appear. Thomas Malone, the protagonist of "The Horror at Red Hook," was born in a villa near Phoenix Park. Phoenix Park is featured prominently in Joyce's Finnegans Wake, a book filled with puns and wordplay, the types of linguistic gymnastics we employ when analyzing twilight language. In case you didn't see it, some information on the Red Hook crazy woman was posted by Anonymous on Loren's Bushmaster article on the Fates. With the various mass shootings, many with strange details that don't add up, then the Red Hook incidents, and creepiest of all 2 masked suspects one dressed as a NUN -- one begins to hope the FBI really does have an X-Files department dealing with highly strange incidents. It's all beginning to feel like that David Lynch film "Twin Peaks: Fire Walk with Me". In response to Ann's comment, no, the lady who followed the white panel van did not think to remember or record its license plate number. And while synchronistically/linguistically Red Hook is spotlighted in the present discussion and in light of recent events, there is much to dissimulate Red Hook township, NY, from the Brooklyn District. The township includes a famous college (Bard) and like its Dutch-named neigbor (Rhinebeck) is significantly populated still by descendants of its original European (Dutch) and English settlers. In other words, while relatively cosmopolitan as small towns go, it is still a small town with a sense of social and cultural continuity. The Red Hook of Lovecraft's personal (and very racist) horror -- a seamy portal of ingress for all manner of swarthy-faced, child-sacrificing Orientals -- seems nothing like here, of course. The public schools are noted as some of the best in the state -- precisely (and ironically) the very reason some of us moved here from Ulster Cty/Woodstock, a charming enclave of artists and mystics with a rotten school system and (being portal to the NE Catskill region) having more than its share of high strangeness. On a less savory note, Red Hook Township is on the corridor where some sightings in the c. 1982 "Hudson Valley UFO" (q. Google) flap occurred, and like its western valley neighbors in Ulster County, sightings continue to this day -- or if one is so inclined, I dare say. There is a substantial presence of Tibetan Buddhism and its practitioners, though also, less visibly, of the O.T.O. and magickal researchers, psychedelic explorers, poets of the bizarre and so forth. Back to the white panel van, it should be noted that local alarm is due in part to the fact that the same or similar van and driver was spotted subsequently two towns to the south -- in Hyde Park (cf. the recent Bill Murray movie), site of FDR's estate and museum. Thank you for the very interesting background on Red Hook. From some pictures of its village of Tivoli, so quaint, I'm always impressed that such towns with actual American history still remain intact. I've heard of Rhinebeck. It has a very famous Tibetan monastery there. In Manhattan the Tibetans recently held a large protest against the Chinese. Looking into the Tibetan faces I was dumbfounded at what an ancient people they really are. They seem to go back into the early mists of time. Being currently displaced by Hurricane Sandy, the Hudson Valley area looks good, and if there's an area with a high probability of ghosts, UFOs, MiBs, and other high strangeness, sounds like a good place to live. I must strongly disagree with your characterization of Lovecraft's Red Hook story as being 'racist'. That word is bandied about way too much these days. One hopes Lovecraft -- and many other 18th and 19th century writers -- would be allowed their opinions and observations without post-humously now being called 'racists'. Just an obetvation on my part for which I hope I will not be called 'racist'. Fascinating about the OTO and magical practioners. I've always liked the magical arts. The clowns that you speak of were not phantom clowns. It happpened in South Shore Mass in the late 1980s. Reported about in local newspapers and even seen by ME!!! Thank you, Kris Good for your eyewitness confirmation. But you misunderstand. The name "phantom clowns" was never meant to be taken literally, as in "ghost." It's meaning comes purely from the appearance and disappearance of these clowns, without them ever being "caught." Seen but not captured. Those kinds of phantoms.